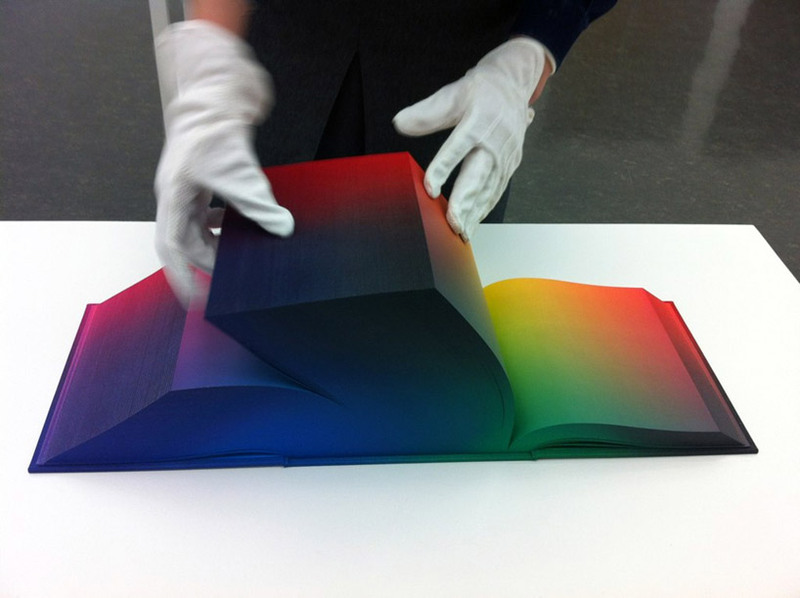 American artist tauba auerbach presents the 8 x 8 x 8-inch hard-back cubes illustrating the color spectrum through digital offset print in a page-by-page medium. a digital offset print on paper with airbrushed cloth cover and book edges create a colorful reference volume of all the colors in existence. the special binding was co-designed by the artist herself in collaboration with daniel e. kelm, and were printed at wide awake garage, an independent bookbinder, with help from leah hughes.